Happy Woo Wednesdays! I wrapped up 2018 with 20 STAND OUT weddings. Deep breath, I am beyond thankful for my amazing clients. Yesterday was Christmas, and our family celebrated at church, followed by a family dinner at my uncles house. It was very special; I hope you all had a Merry Christmas. Do you know what time it is? It's proposal time. According to bridebook.co.uk, they are estimating 100,000 proposals this holiday season. If you are engaged, congrats, I want to hear all about your love story. I wanted to do this blog post to get your creative wedding juices flowing. Do you want to make your wedding stand out and wow your guests? Always be unique and let your personalities and love story shine. Yes, yes yes, hire a wedding planner, but I want you to educate yourself about planning a wedding. Here are 10 ways to do just that, plus a bonus you will love. 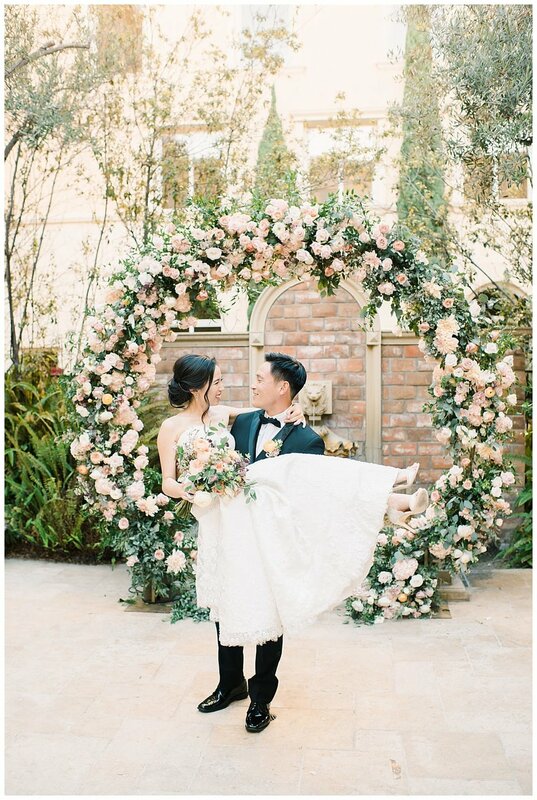 Do not skimp on your wedding bouquet or altar. I repeat, do not skimp out on your wedding bouquet or altar. The bouquet will be in almost every photo. The altar is where you say your vows and I do's. This is the photo you will post to social media, and put on your thank you cards. You want it to stand out, the altar can be recycled from the ceremony to reception. From matching pajamas for your bridesmaids, signature cocktails, custom welcome bags, to personalized ERRRverything, all of these little things will really make your big day stand out. How cute are these banana leaf pajamas? My couple who had their wedding in Croatia gave out personalized welcome bags to all their guests, so special. I love this Mexican candy table. The couple brought all of their favorite treats from Mexico. My couple used our engagement session photos and printed out movies tickets for their seating chart. They had a movie themed wedding. 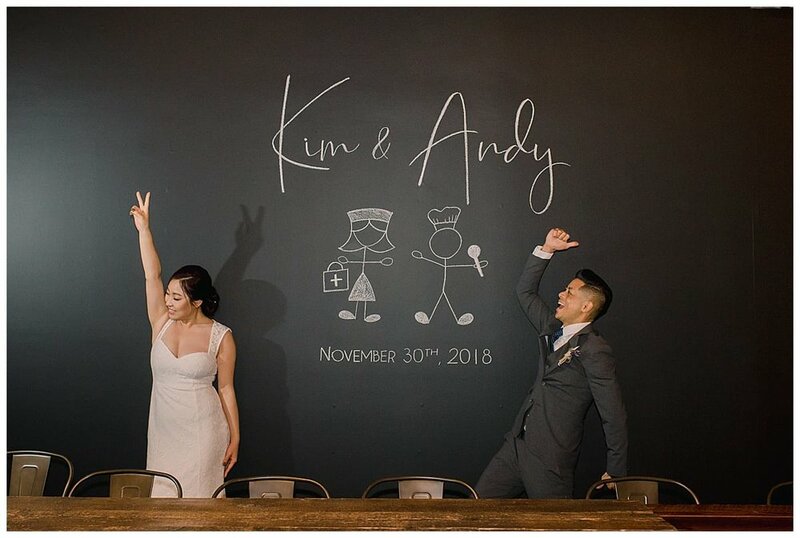 Kim is a nurse and Andy is a chef, so cute. I highly recommend using a rental company to bring some flavor to your wedding. You can rent vintage love seats, suitcases, unique linens and just about anything to make your wedding really stand out. You will make your wedding photographer very happy too. Make a statement with your hairpiece. When your guests see you, their mouths will drop. Veils are great for photos; the photographer can make creative photos with the veil. Kim showed a little bit of her Korean culture by this beautiful hairpiece. I can't call myself a foodie but I really do love food. It brings me so much joy in life. 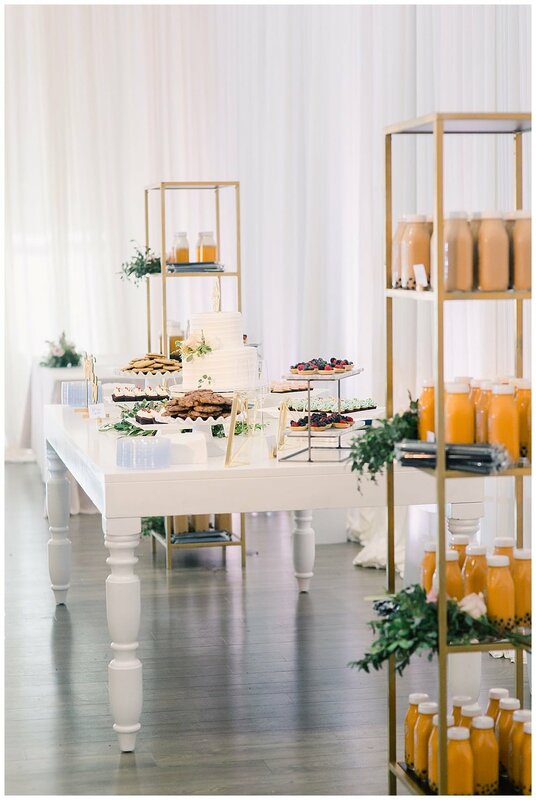 When my couples have amazing, unique food at their wedding, I'm the happiest person. The food is what your guests will remember. Amen to food trucks. Seoul Sausage was a hit at Kim and Andy's wedding. White Rabbit filipino food was amazing, give me all the chicken adobe on rice please. Yes to In n Out trucks, woohoo! 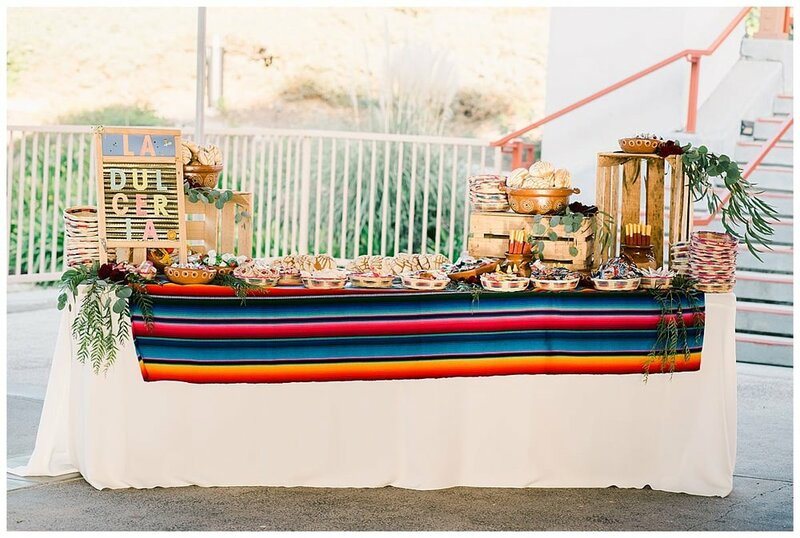 I literally gasped when I saw a Boba Zero bar at Ally and Jeff's wedding. MM Creamery has the best ice cream. The cucumber lime is my fave. I cannot emphasize this enough. Some of my couples have been together for one year before their engagement and some have been together for a decade. No matter how long you have been together, take us down memory lane through your first date, first concert, photos with friends and more. 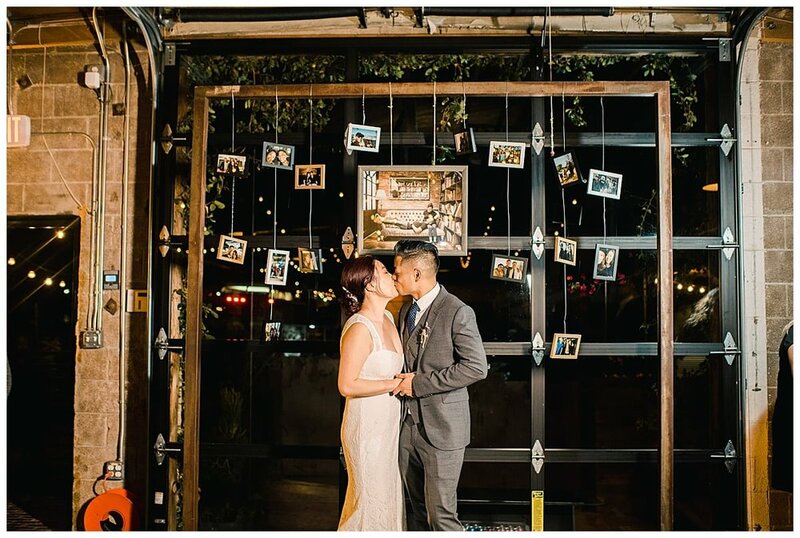 Guests will spend a lot of time looking at these photos and it really gives everyone that warm and fuzzy feeling. I make all engagement sign in books for my couples, canvases and much more. You don't have to print everything through me. Get creative and do it yourself. Kim and Andy printed photos from their 10 year relationship. I was even in one of the photos from circa 2006, I felt so special. I love printing from Artifact Uprising. I printed this photos from my clients on wood, so rad. It's your time to shine. Your guests want to be entertained by an amazing Dj MC with a couple of interactive games, a dragon dance, hula dance, live skit, live band, and choreographed dance. 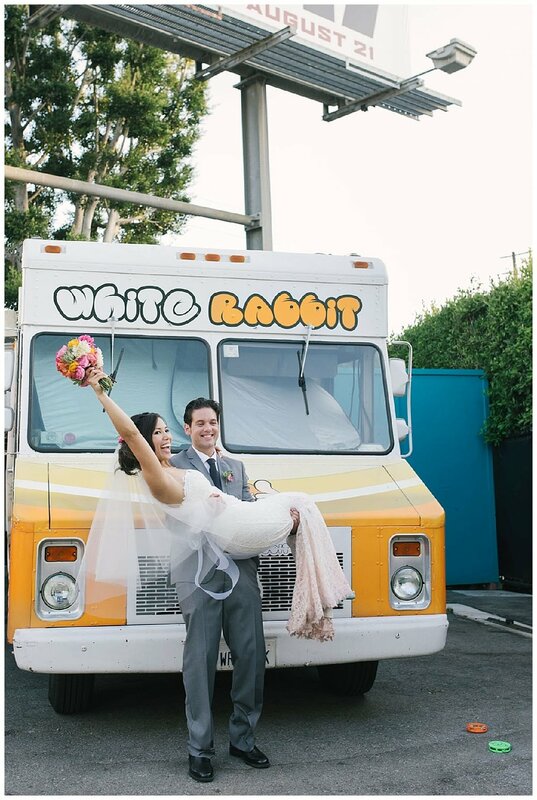 It adds tradition, fun, and really makes your wedding stand out. Jen and Arthur had chinese dragon dancers at their wedding. My couple who had their wedding in Croatia flew their favorite guitarist John West to be there on their big day. Trina and Mahesh performed a choreographed first dance. Staci and her dad performed a dance, her mom hopped in the dance, then her step mom and step sister, it was a beautiful moment. Tiffany and Kenny hired a balloon artist to come to their wedding, so fun! End the night on a high note with fun dancing toys and a sparkler exit. Bring your dog to the wedding, I will love you for it. Have a first look with your pops.